Hello again! I didn’t intend of posting this now but I am as the weather is horrible today so the photos wouldn’t have turned out very well. Recently, I opened the Keats Wedding couple which I got with my order in February (I am opening one set per month and I still have 2 left to open) Here they are! This is what I got. The two of them didn’t come in a box but I didn’t really expect that as they were collectors club items. 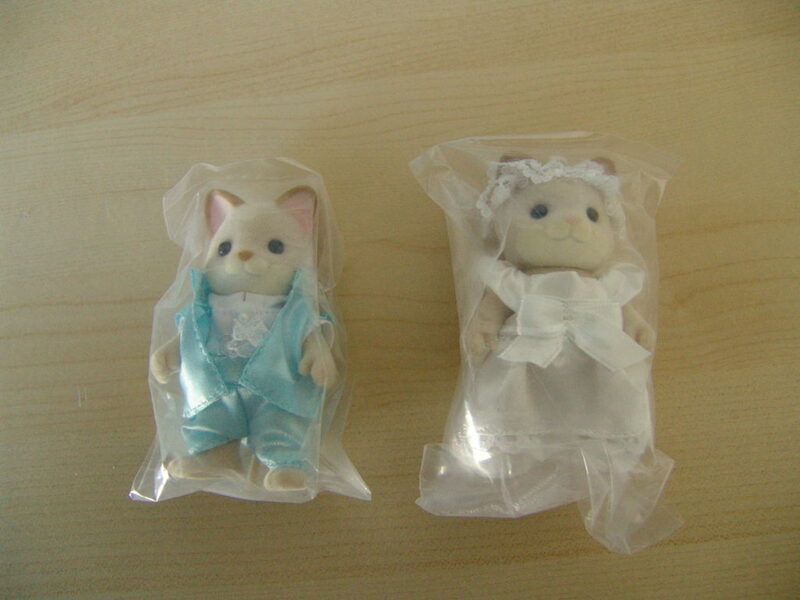 The figures were each packaged in their own plastic bag and both in a big one. 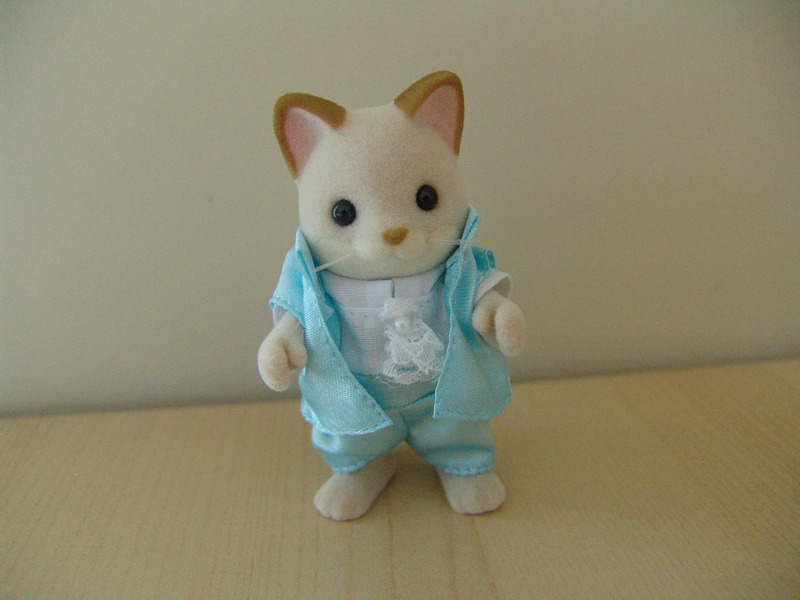 First of all, here is Patrick Dante, a fine young chap looking good in his light blue suit. 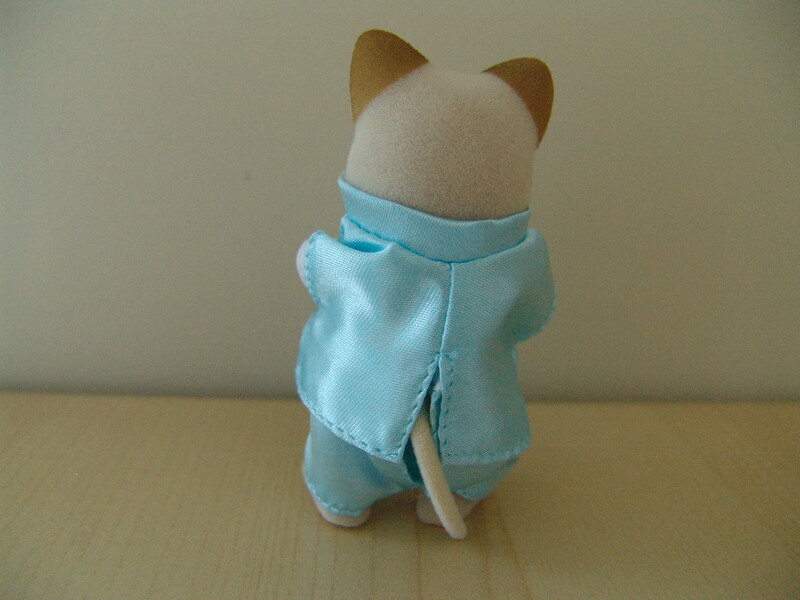 This is him from the back, his suit jacket has a little split so his tail can fit through. It is made out of a rough silk which is in my opinion quite scratchy. This is the side view of him, his jacket is collared and has longish sleaved. 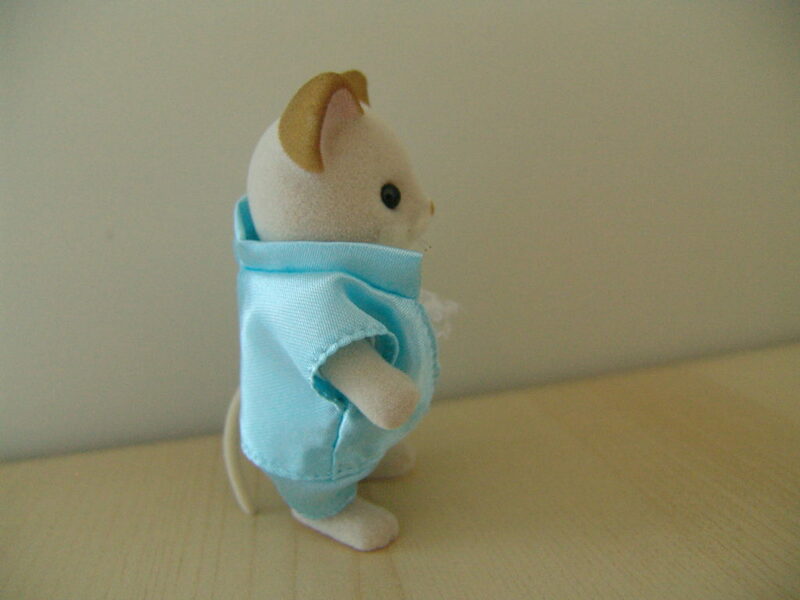 Just a question, have you ever seen a sylvanian in long sleeve? Here he is again, quite happy to be out of that scratchy jacket. 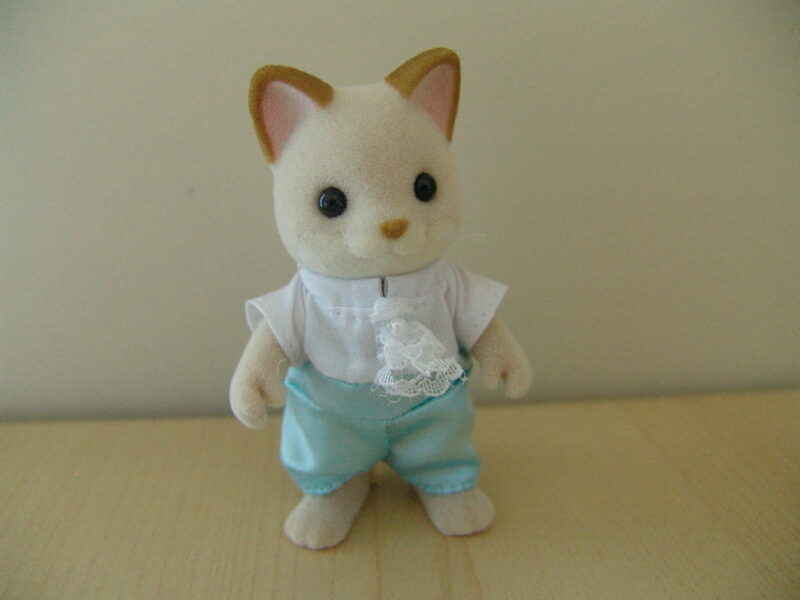 His shirt and pants are sewn together, much like the male clothing in the new town series. His shirt has a bit of lace on it which reminds me of a tui bird. At the back, it can be closed with velcro. 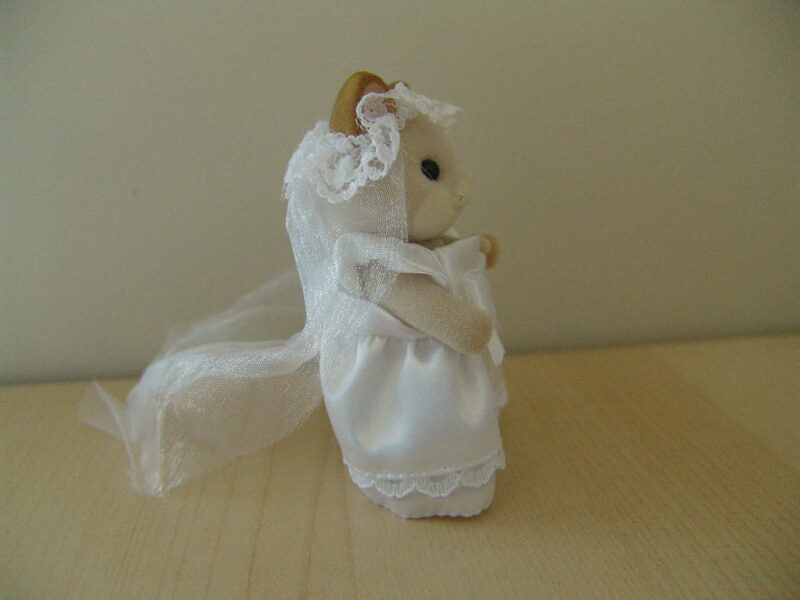 This is his beautiful bride, Primrose Keats. 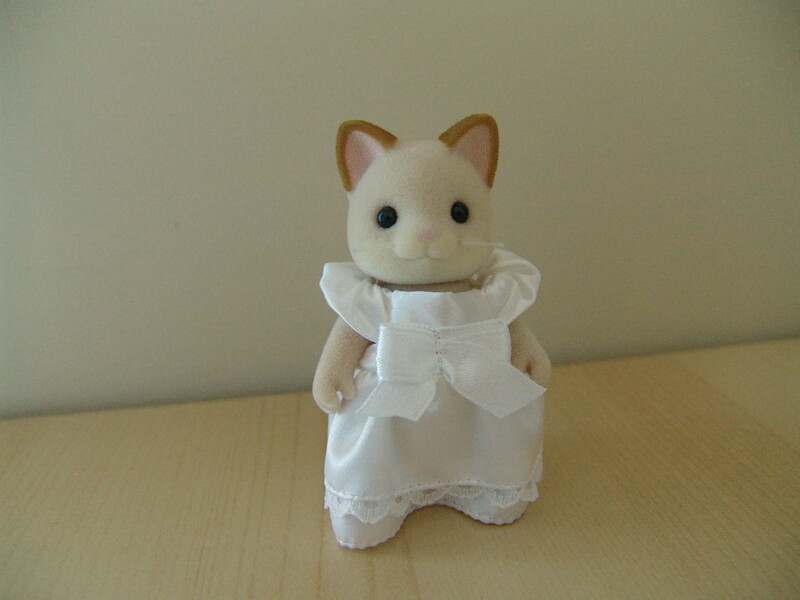 Her dress is also made of the scratchy stuff but is white. She has a long veil as you can see here. Primroses dress is quite simple but thats what I like about it. To see the back properly, I have removed the veil. 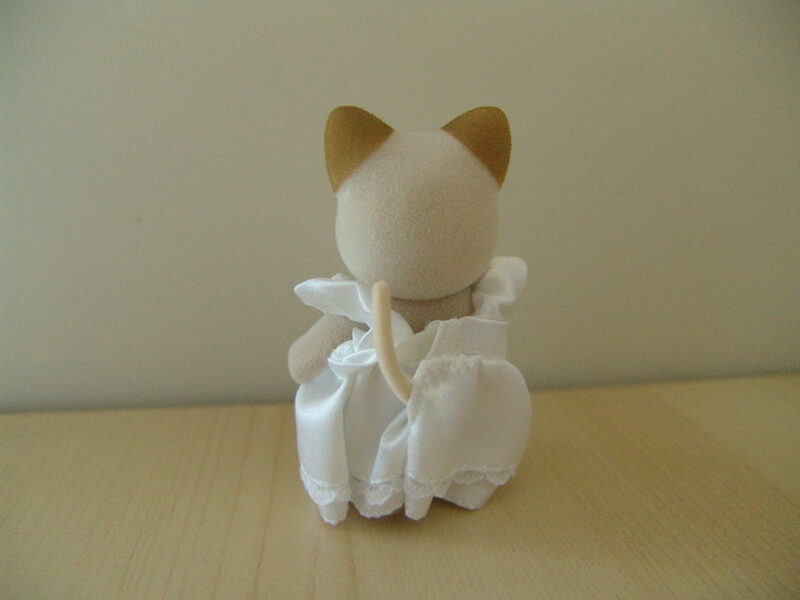 Her dress also has a slit for her tail to poke out. Now again from the front without the veil. She looks a little bit incomplete without it I think but this gives me a chance to oooh and aaah over those lovely coloured ears. 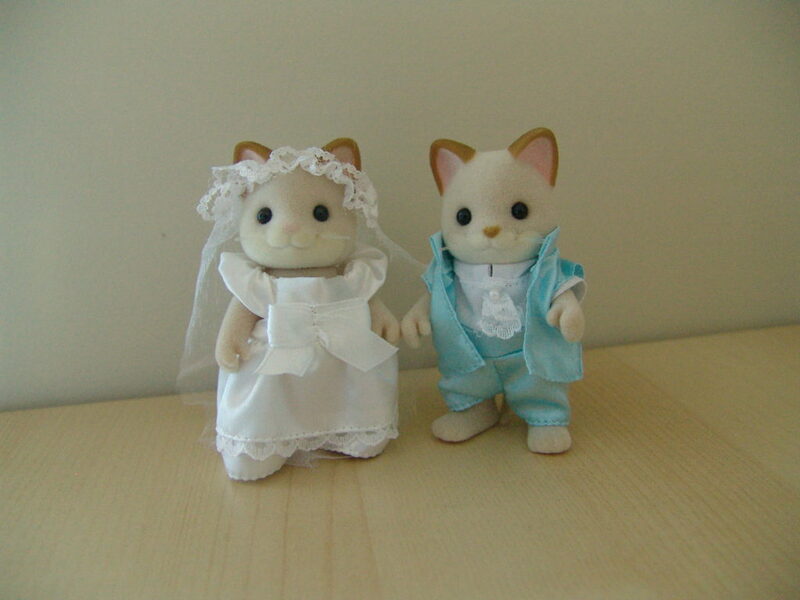 Here they both are, ready to marry. Their fur is quite soft and I adore their markings. I love the new clothes they have (Shown in my last story) as they can’t always be in their wedding attire. Remember that Patrick and Primrose were “asleep” during these photos as Patrick can’t know that that is what his fiancee is wearing to their wedding. I hope to publish part two of their story soon! Thanks for this cute review, Emily! 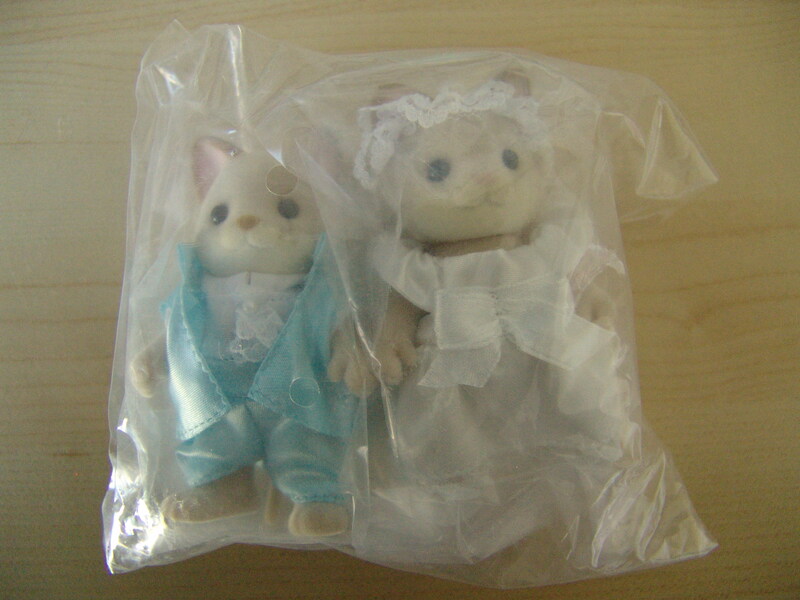 I´m so sorry I misssed the chance of getting them from SSK. I meant to buy some sets to get the Dantes but I don´t remember why I didn´t place any order.Hope they have the same promotion next year for Valentine´s Day. I loved to have a closer look at their outfits. They are really nice and they make a lovely couple. Looking forward to their wedding day! I think they will still have them next year but you never know. I didn’t really like them at first but now I do. 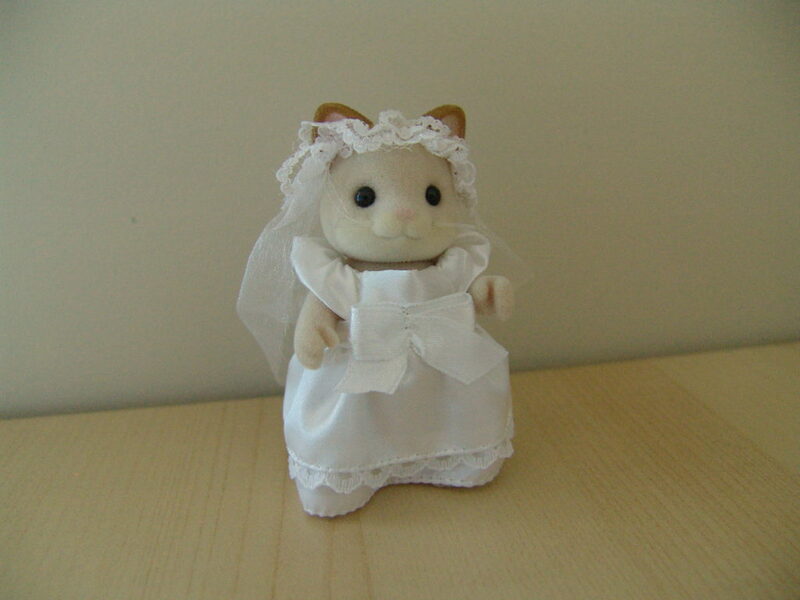 I will change the outfit of Patrick when it is time for the wedding as it does not fit into my colour theme very well. It is a lovely set isn’t it? Hello Emily, they are both so cute! Their clothing looks very shiny and beautiful, even being, as you mentioned, rather rough material.